If you're struggling with trying to keep your household comfortable in the summer or winter months while trying to keep your power bills low, home insulation may be the cost-effective answer that you have been searching for. 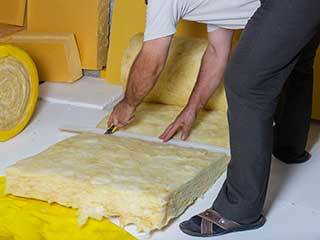 Insulation makes the task of managing indoor temperatures without expending excessive electricity an extremely easy one. It is estimated that around 33% of your home’s heating escapes through gaps and cracks in its walls during the cold winter months. That means that the task of heating your home and keeping it cozy will become an expensive one. If you choose to get your home insulated, however, you'll be able to keep your indoor environment more comfortable and warm without making your HVAC unit work overtime trying to replace escaping hot air . Once again, your monthly energy expenses will show a positive decrease. Not only will getting your home properly insulated help you save money on electrical expenses, you'll also save money on all sorts of repairs. If your HVAC unit is constantly hard at work trying to keep your home cool or warm all day long, that means it's various parts will suffer from more and more wear and tear damage over time. That means they'll have to be replaced sooner than they otherwise would have, which means you'll have to spend more money. Although inadvertently, insulation will effectively help you avoid unnecessary replacement of various components, which again, means you'll be spending less money. Don't hesitate. Before winter starts knocking on your door, or summer's blazing fingers begin to encroach, contact our experts at Air Duct Cleaning Los Angeles to get your home properly insulated.